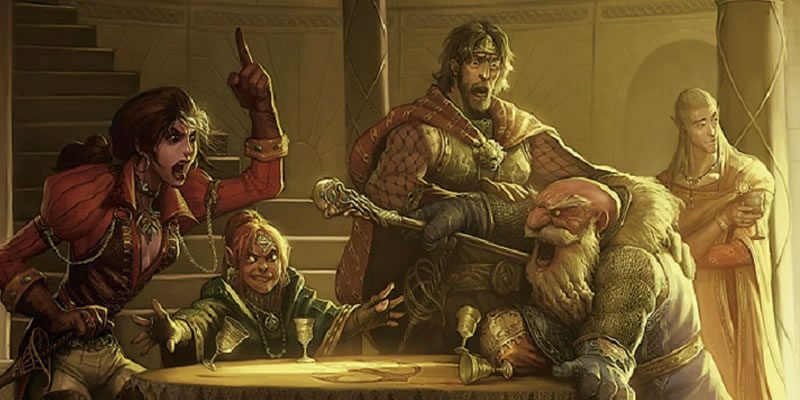 Dungeons and Dragons tend to play a lot smoother when there are 5 or fewer players in a party. That being said, if your groups are anything like mine more and more people become interested in your campaign/the game and you are reluctant to say no to your friends joining in on the fun. However, designing encounters and running sessions for 6+ people becomes very difficult very quickly. As a DM of a large party, you have your work cut out for you, but it is doable! How can we go about speeding things up without sacrificing gameplay, role play, and individual character development? Let’s split this up into two sections: combat and role-playing. As much as I love Kobolds, they’ll need a buff to make the combat go quicker for large parties! 5e has done wonders for DnD in speeding up combat and making it considerably more fluid. Compared to say 3.5e, 5e the players and creatures have a higher chance to hit as well as a lower average AC. This means that being hit on both sides of the table will be much more frequent. Granted the health pools for both creatures and players have been increased to balance this, but the result is still the same: faster encounters. The players (and myself) have a limited amount of time to complete their turns. I’m extremely liberal with this rule the first couple of sessions for newer players or if a few people haven’t played in a while. However, if combat begins to take a large amount of time in each session on a regular basis I start to impose this time limit. Give the players say 30 seconds max each turn to do their movement, action and bonus action. This should be ample time because this method will force the players to think a bit differently than they normally would. Instead of only thinking of what to do when their turn begins, they will be watching the map and basing their decisions prior to their turns. Not everyone can memorize every spell their class knows, especially after they level up and learn some new ones. It’s perfectly acceptable for people to double check what a spell does, or even for the DM to check up on what the spell or ability does to confirm that the action is acceptable or is within the rules. Everyone should have a copy of materials that will answer their questions on spells/abilities/general rules. Maybe that means buying the Player’s Handbook, a set of those awesome spellbook cards for their class, or maybe it means scanning a few pages of their class spells for them out of your book for convenience. Everyone having copies of the materials relevant to them will make the game go smoother. Edit 6/17/18: Here are some links to the spellbook cards for each class. The more creatures that are in an encounter means that more time being added to the game. Even if they are just “one shot one kill” kind of mobs. That’s not even considering the fact that you as the DM will be moving, rolling attacks, and rolling damage for each individual creature. This takes a lot of time. Consider this though. Maybe instead of throwing a group of 10-15 goblins for your group of 8 players, throw an Owlking at them. 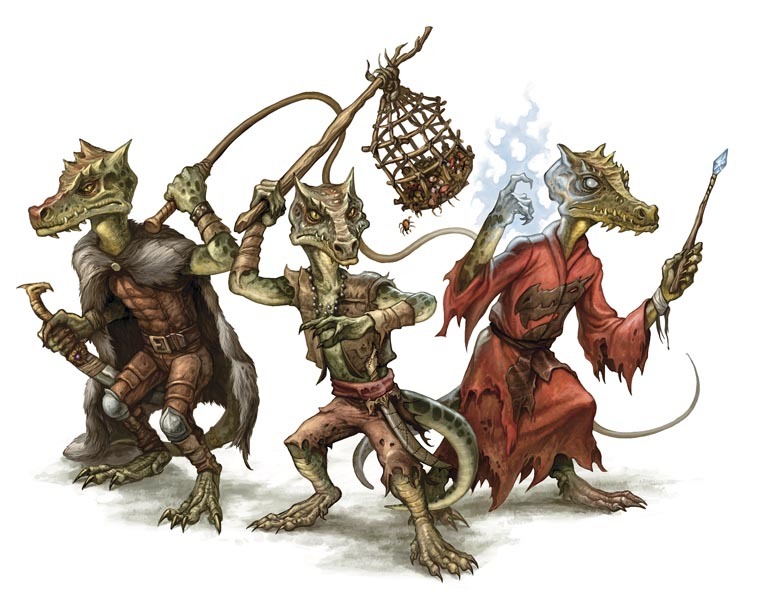 Throw out bigger, badder monsters at your party so that they will get the same challenge as that pack of goblins, but it will not take nearly as much real time to give them that challenge. That Elf in the back? Yeah, he’s the guy we’re trying to engage in the conversation. Role-playing and character interactions can become tedious for onlookers if it is the same person doing all the talking. After all, it’s very hard to develop a character solely based on rolling the dice for skill checks and combat. Character development is more important in a large party. Showcasing yourself and carving out a spot in the group as an individual will certainly make the game more fun as it is not just a mob of people speaking to each NPC. It’s a group of different people making decisions based on their ideals, backgrounds, and reputations. Unfortunately, there will always be some people that just have better ideas for characters or are much better at the role-playing aspect of the game. As the DM, you’ll typically want to interact with these people more frequently than those who are shy, less creative, or flat out boring to talk to when role-playing. This is a bad habit to get into for any size group, but in a large group, this becomes extremely toxic for the group. So, how are some ways we can get everyone to take part in the role-playing? Whenever you feel a lull in the conversation, or if you notice that a specific player has not said anything or made any decisions in a decent amount of time, you as the narrator should draw them into the story. A simple question such as “So, what do you think about [the current situation]?”. Create some immersion by addressing your players by their character’s name as well. This is pretty basic, but it always allows the quiet character to have the spotlight, at least for a little while. As the DM you’ll control all of the NPCs in the game. Everyone the players interact with aside from each other will be you. As an NPC, you can specifically point out odd behavior in the players or engage your quieter players based on their character’s race, appearance, reputation, etc. This method is pretty similar to the narrator method in the previous paragraph, but utilizing your NPCs allows you to engage the players through a different style of role-playing. I’ve written a guide on how to create interesting villains that will help with creating interesting and unique NPCs! Another one of your duties as DM is to use in-game and/or out of game methods to ensure that the game goes smoothly and everyone is having fun. For example, If specific players are talking over your quieter players. You should speak to the player outside of the game and bring this to their attention. Many times the loud or obnoxious person was not trying to hog the attention, it’s just a miscommunication! However, if you can solve it in game, that can be even more hilarious. Have the NPCs react to their actions or words and draw the rest of the party/group into the conversation with them. This shifts the dynamic from the boisterous player to someone else VERY quickly and can lead to some interesting exchanges. I only mentioned 3 different methods that I personally use to speed up/enhance the game for a larger group of players. In reality, there are a plethora of ways to make the campaign more accessible/efficient for large groups of players. The methods I use also won’t work for every single group. For example, some people would feel extremely uncomfortable having a time limit set on their individual turns. Each group is different, but every group will most likely have to adapt to becoming a larger than average party in order to play the game at a decent pace. Unfortunately, there is a point where you cannot keep the game an acceptable quality. There will simply be too many people for you to handle! If you feel you have reached this point, I suggest splitting the group into 2 separate games. Point Buy or Trust the Dice?